Amber graduated from the University of Central Florida as a Doctor of Physical Therapy in 2015, doing her Undergraduate work at Angelo State University in Texas where she played on the soccer team as well. 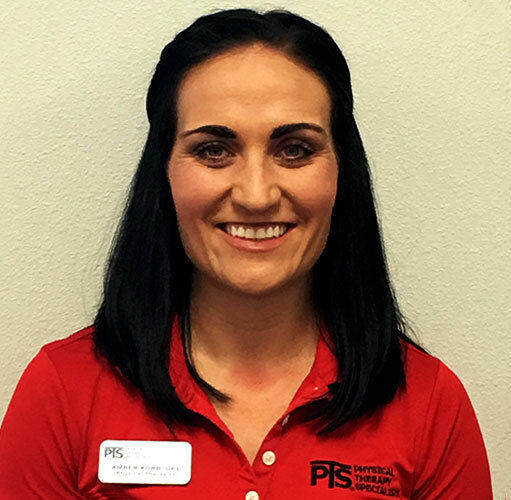 Her clinical experience includes acute Orthopedic and she is currently working towards her Maitland manual therapy certification a member of the APTA and looks forward to taking more certification courses in orthopedics and vestibular care. While in school she continued to play soccer and enjoys staying active, working out and performing almost any outdoor activity. She is a big fan of dogs, having one of her own named Toffee. She enjoys staying active in the community and currently volunteers at the Orlando Homeless Coalition weekly, helping with various activities with all the kids.